All the water soluble vitamins that are considered essential with the important exception of the vitamin C are included in the grouping known as the vitamin B complex. 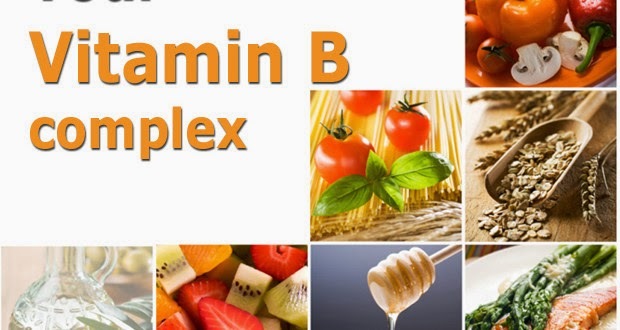 These B complex vitamins are: the vitamin B1 or thiamine, the vitamin B2 or riboflavin, the vitamin B3 or niacin, the vitamin B5 or pantothenic acid, the vitamin B6 or pyridoxine, the compound called biotin, the compound folic acid and the vitamin B12 or cobalamin. A false belief in earlier decades was that the "vitamin B" was a single nutrient found in yeast, liver and the extracts of rice. As vitamins were studied more thoroughly, clinical researchers found several different types of vitamins in rice extracts, all these different compounds were then assigned specific numbers to differentiate them. The unfortunate conclusion of the layman and the non-scientists was that this numbering scheme implied the existence of a special relationship between each of these vitamins. This confusion was increased by the "unofficial" designation of many other class of substances with membership in the B-complex group of vitamins, compounds such as choline, inositol and para-aminobenzoic acid - PABA, though these compounds are strictly speaking not considered to be vitamins nor are they essential in the diet - they were still placed within the B complex group of vitamins. People with low folate intake are at increased risk for certain types of cancer. A diet rich in vegetables and enriched grain products containing this vitamin are recommended by some experts in cancer prevention. Grain products have been enriched with folic acid for more than a decade, and there is now some concern that folic acid supplements may increase the risk of certain cancers. Supplements are not generally advised except in women of childbearing age and people with restricted food intake. The B complex group of vitamins consists of members that have a unique structure and that perform unique functions within the human body - and none of these vitamins has a common structure in terms of biochemistry. Metabolism, its regulation and the production of energy are areas in which the vitamins B1, B2, B3 and biotin are involved. The vitamin B6 is involved in the metabolism of each and every amino acid. The process of cell division and the bio-chemical steps involved in cellular division are facilitated by the vitamin B12 and the folic acid. Many functional roles can additionally be performed by each of these vitamins. There are however, no bio-chemical pathways in the body that require all the B-complex vitamin at one and the same time in order to function - this is contrary to what is popularly believed by most laymen. B1 and B2 are found in cereals, whole grains, and enriched refined grains. B1 is also found in potatoes, pork, seafood, liver, and kidney beans. B2 is found in enriched bread, dairy products, liver, and green leafy vegetables. B3 is found in liver, fish, chicken, lean red meat, nuts, whole grains, dried beans, and enriched refined grains. B5 is found in almost all foods. B6 is found in fish, liver, pork, chicken, potatoes, wheat germ, bananas, and dried beans. B7 is made by intestinal bacteria and is also in peanuts, liver, egg yolks, bananas, mushrooms, watermelon, and grapefruit. B9 is in green leafy vegetables, liver, citrus fruits, mushrooms, nuts, peas, dried beans, and wheat bread. B12 is found in eggs, meat, poultry, shellfish, milk, and milk products. Thiamin, riboflavin, and niacin (B1, B2, and B3) have been added to white flour and other refined grains since the 1940s to replace some of the nutrients that are removed with refining. Grain products have had folate added since 1998. Supplements that contain several B vitamins, usually in combination with other nutrients, are sold in grocery stores, health food stores, and over the Internet in pill and liquid forms. Dosages vary by manufacturer. The B vitamins form a crucial role in our diet and are required to assist in keeping away from several health disorders. However, barring vitamin B9 (folic acid), there is a lack of adequate scientific proof to know if B vitamins have the aptitude to lessen the hazards of developing cancer. Individuals whose diet is low in folic acid content are known to be facing augmented risk of developing specific types of cancer. Therefore, many experts suggest that we should take a diet that is rich in vegetables that enclose this particular vitamin and maybe taking a multivitamin supplement enclosing the suggested daily value of folic acid (vitamin B9) every day. Moreover, it may be noted that vitamin B complex is vital for accurate synthesis of DNA and RNA as well as production of cells. Since our hair, skin and nails are growing continuously as well as replenishing themselves, we require the B vitamins mentioned hereafter to make sure that the health of these structures remains in excellent condition. The B vitamins required for this purpose include vitamin B1, vitamin B9, vitamin B3, vitamin B2, vitamin B12 as well as biotin and choline. Dearth of any of the B vitamins mentioned here may result in dehydrated, grey skin, wrinkles, dermatitis, rashes, acne, fragile and splitting nails and falling hair. In addition to the above mentioned requirements, vitamin B complex is indispensible for proper digestion, hydrochloric acid (HCl) production as well as to help in the metabolism of carbohydrates, proteins and fats. In effect, vitamin B1, vitamin B3, vitamin B2 and vitamin B6 are particularly necessary for excellent digestion. Any shortage of any of the vitamins included in vitamin B complex may result in weakened digestion as well as dearth of essential nourishments. It may be mentioned that all the B vitamins perform very closely with each other and, therefore, dearth of any particular B vitamin may result in weakened functioning of either or all the other B vitamins despite the remaining being in adequate supply. 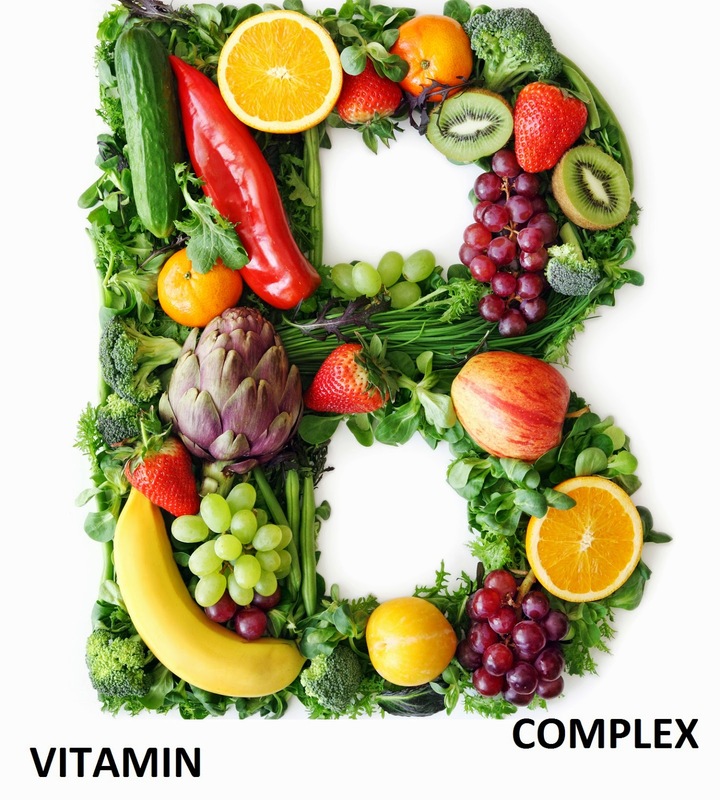 It is advisable that you should take B vitamins in the form of vitamin B complex all the times and subsequently, if required you may replenish with any particular vitamin B. In general, more problems are caused by not getting enough of the B vitamins than by getting too much. Low thiamin levels can cause weight loss, poor appetite, enlarged heart, and mental problems. Folate deficiency can cause anemia, which worsens over time to cause symptoms like tiredness, weakness, shortness of breath, headache, low energy, poor tolerance of exercise, and trouble concentrating. In pregnant women, folate deficiency can cause serious birth defects of the brain or spinal cord in the infant. Low riboflavin levels can cause sore throat, rashes, and anemia. Low niacin levels can cause pellagra, a syndrome in which a pigmented rash appears on sun-exposed skin. A person with pellagra may have vomiting, constipation or diarrhea, depression, apathy, fatigue, and memory loss. Low pyridoxine levels can cause rash, anemia, and seizures. B12 deficiency can result in anemia. It can also cause brain and nerve problems, such as tingling and numbness in the legs, trouble walking, poor concentration, memory loss, and mood changes. Trouble with vision, sleeping, impotence, and poor bladder and bowel control can also result from B12 deficiency. B vitamins are water-soluble, meaning that any excess intake is largely excreted in the urine. Supplements containing B vitamins are generally thought to be safe but still should not be taken in very large doses. Possible side effects can vary depending on which B vitamin is taken. Rarely, large doses of vitamin B3 (niacin) supplements can cause blurred vision, nausea, vomiting, high blood sugar, serious liver problems, painful skin lesions, and sensitivity to the sun. High doses of pyridoxine can cause numbness and trouble walking. Folic acid supplements can mask signs of vitamin B12 deficiency and result in more serious damage to the brain and nervous system. Large doses of folic acid may interfere with at least one chemotherapy drug, methotrexate, and other medicines like it. Researchers are now looking into whether extra folic acid can increase the risk of cancer in some people.